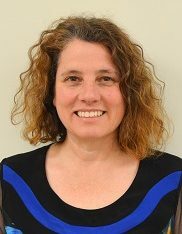 Naini Cloutier is the Executive Director of the Somerset West Community Health Centre. She has extensive experience in immigrant issues, community development and management. Additionally, she has participated in various community planning bodies and boards in the area of accreditation, evaluation, funding and the non-profit sector generally. Naini holds a Masters degree in Public Administration. Born in Haiti, Saint-Phard Désir came to Canada in 1990. He completed his education at the University of Ottawa where he obtained a Master in Business administration. 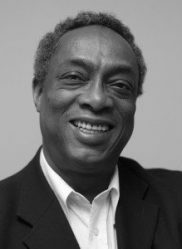 In 2004, commissioned by the Department of Citizenship and Immigration, Saint-Phard was the author of the guide "Finding a job, practical guide for the French-speaking newcomers" to help French-speaking immigrants find work in their fields of expertise. Then he left Canada to work in different organizations including Lutheran World Relief in the United States. In February 2007, he returned to the Conseil Économique et Social d'Ottawa Carleton (CÉSOC). 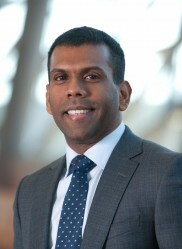 He was the Project Coordinator of the Réseau de soutien à l’immigration francophone de l’est de l’Ontario for five years and since July 2012 he has assumed the general management of CÉSOC. 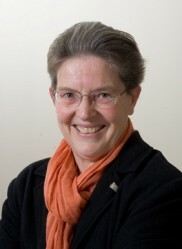 Jane Fjeld’s current position is Associate Executive Director of Youth Services Bureau of Ottawa. Her previous work experiences have included being the Provincial Youth Priority Knowledge Exchange Manager with Centre for Addiction and Mental Health, a 6 month secondment with the Roberts/Smart Centre as an Interim Executive Director, an 18 month secondment with the Ontario Ministry of Health and Long - term Care as well as being the Executive Director of the Eastern Ontario Young Offenders Services and the Executive Director of Elizabeth Fry Society of Ottawa. Jane holds a Master Degree in Applied Criminology from the University of Ottawa. Lynn Graham is the past Co-Chair of OLIP's Education Sector Table. 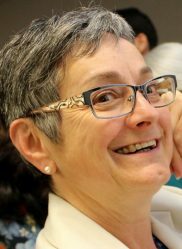 Lynn Graham’s current volunteer community work includes membership on the Board of Directors of the Youth Services Bureau and the Board of Directors of the Champlain Community Care Access Centre, where she was chair from 2008 to 2012. 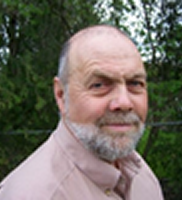 For twelve years, until 2006, Lynn was a school board trustee, first with the Ottawa Board of Education and, following amalgamation, with the Ottawa-Carleton District School Board. 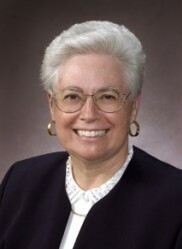 She played a key role in the establishment of the OCDSB’s Advisory Committee on Children and Youth at Risk and she served three terms as chair of the OCDSB. She has held volunteer governance positions with other organizations, including the Parent Preschool Resource Centre, Child and Youth Friendly Ottawa, and Christie Lake Kids. Lynn’s post graduation employment was with CUSO. She was a secondary school teacher in Ghana, West Africa, and later a staff member of the CUSO national secretariat in Ottawa, administering the programs in West Africa and assisting CUSO committees at Canadian universities and colleges. In subsequent years, Lynn became a federal government employee with the Department of National Health and Welfare and afterwards with the Department of Manpower and Immigration. Lynn holds a Master of Social Work Degree. In 2012, she was awarded the Queen Elizabeth 11 Diamond Jubilee Medal. 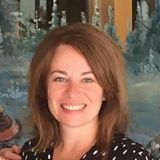 Before joining the Alliance to End Homelessness Ottawa in 2017, Kristen worked as Director, Programs and Strategic Initiatives with the Canadian Housing and Renewal Association (CHRA). CHRA is a national member based non-profit that advocates at the federal level on affordable and supportive housing and homelessness issues. 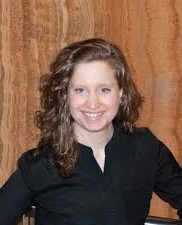 Kristen oversaw the programming and communications of CHRA’s annual National Congress on Housing and Homelessness, as well as the association’s research, advocacy and online education programs. She also maintained and established partnerships with sponsors, members and stakeholders. Kristen holds a Master of Public Administration from Queen’s University, and an MA (UCL) and BA Honours (Carleton) in Cultural Studies. Kristen has also worked with the U.S. Embassy, Federal Government of Canada, National Gallery of Canada and City of Ottawa Public Arts Program. With a keen interest in grassroots community development, Kristen has also volunteered with the Kiwanis Club of Ottawa and Lowertown East Residents Committee, and currently sits on the Board of Directors at Interval House Ottawa. 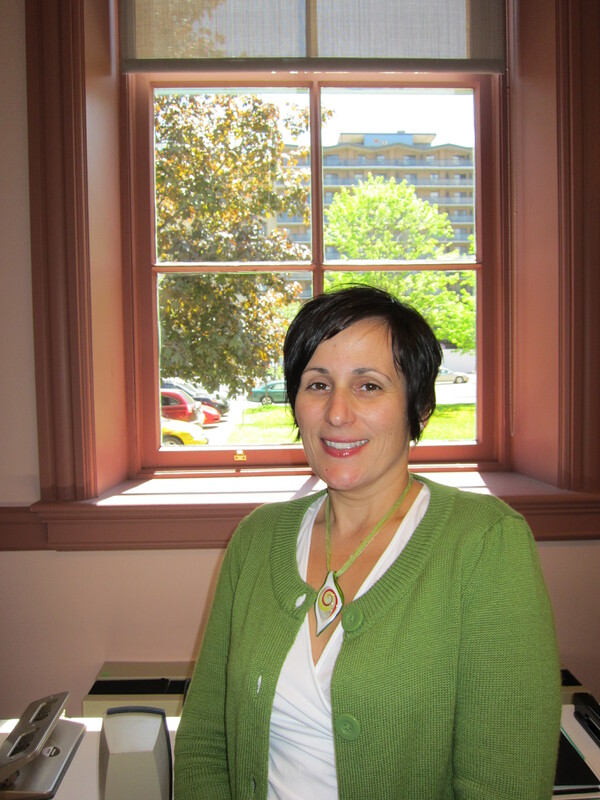 Marianne Kayed is the Manager, Continuing and Community Education at the Ottawa Catholic School Board (OCSB). This role targets lifelong learning opportunities for everyone in a family. The portfolio includes overseeing the largest provincially-funded adult English as a Second Language (ESL) program in Eastern Ontario, the Language Instruction for Newcomers to Canada program, the Adult Literacy and Basic Skills (LBS) program, International Languages (elementary) program, summer camps and fee-based programs. She delivers innovative non-credit programming for immigrants, including several ESL/Skills classes (e.g. ESL for Building Interiors, ESL for Home Support Worker, etc.) and LBS work-preparation programs (e.g. landscaping, retail and custodial preparation). 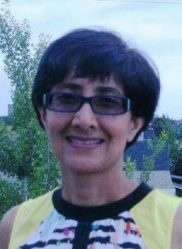 With degrees in modern languages, applied linguistics, and certificates in database and risk management, she has spent much of her career in ESL and literacy of adult immigrants and refugees, both in southern Ontario and Ottawa. 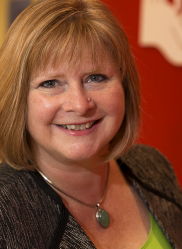 She is a recognized national expert in the area of Canadian language benchmarks, essential skills and occupational use of language and has worked on several projects to set national standards for both regulated and non-regulated professions in Canada. She was the Senior Program and Partnerships Manager at the Centre for Canadian Language Benchmarks for over a decade. During that time, she lead national and provincially funded projects/resources and research with various sectors including nursing, physiotherapy, audiology/speech language pathology, engineers, the IT sector, trucking, tourism and red seal trades. The work produced fair, valid and reliable language assessments and professional standards to help newcomers meet defined, clear communication expectations for professional licensure and safe workplace practice. From 2011-2013, she worked at the Federation of Medical Regulatory Authorities of Canada where she was Senior Manager, Policy, responsible for accreditation, risk management and educational programming. Currently she is a director on the Centre for Canadian Language Benchmarks Board (member of the risk management/auditing and official languages advisory committees). She sits on the OCSB leading and learning committee. Marianne is a member of Hire Immigrants Ottawa (public sector table), the Ottawa Community Coalition for Literacy and the Eastern Regional Partnership for Adult Educators. 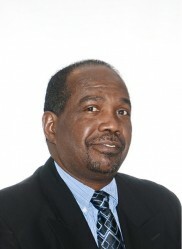 Kenny Leon joined the Ottawa Board of Trade as the Director of Communication in March 2011 and is responsible for the overall branding and communication of the organization, including its new initiatives to promote its advocacy efforts. Kenny has 18 years of experience in marketing and communications, both locally and internationally. 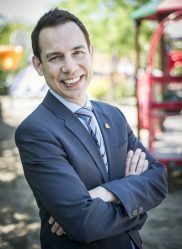 He serves on several committees that actively advocate a diverse workforce in Ottawa. 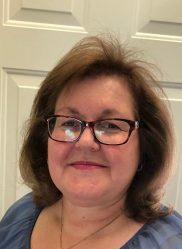 Elaine Medline joined the Champlain Local Health Integration Network (LHIN) in 2006, and has contributed to a number of key LHIN initiatives in the areas of communications, mental health and addictions, and lung health. She became a member of the LHIN’s Senior Management Team in 2011. In addition to communications and community engagement, Elaine currently focuses on improving health services for immigrants and refugees, as well as Francophone communities. 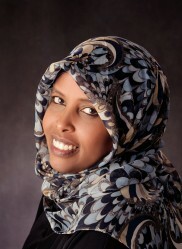 She is currently co-chair of the Health and Well-Being Sector Table of the Ottawa Local Immigration Partnership. In addition, Elaine is now working with Indigenous partners on a number of health initiatives. From 1999 - 2006, she worked at Ottawa Public Health, developing policies and programs related to tobacco control, environmental health, youth programs, harm reduction and health-care emergencies. 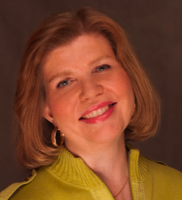 Elaine has degrees in biology and medicine from McGill University, and a journalism degree from Carleton University. She began her journalism career in 1991 as a reporter at the Charlottetown Guardian newspaper in Prince Edward Island, followed by a five-year stint covering health policy and medical innovations for the Ottawa Citizen newspaper from 1992 - 97. Kelly joined United Way Ottawa in the role of Director, Community Initiatives in 2013 where she works with volunteers and key community stakeholders on strategies for labour market inclusion of people with disabilities and newcomers in Ottawa. Her portfolio also includes working with partners to help reduce social isolation of seniors. Kelly leads the Employment Accessibility Resource Network which includes over 105 organizations, all focused on helping people with disabilities find employment through employer education and other activities. She also convened the sector around United for Refugees, a partnership with key community organizations including the City of Ottawa, who all worked together to raise and allocate funds for the sponsorship and settlement of people affected by the Syrian crisis. Kelly has over 25 years of talent acquisition, people management and training and facilitation experience in the private sector. Her breadth of experience and expertise, particularly in recruitment, diversity and inclusion initiatives, has been driven by her passion and desire to help make change happen in our community. 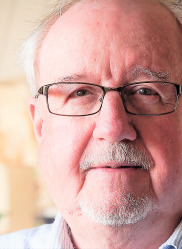 Michael Molloy is the co-author of “Running on Empty: Canada and the Indochinese Refugee Movement 1975-80” and has 40 years of experience in international and refugee affairs. Mike was Ambassador to Jordan (1996-2000) and Special Coordinator for the Middle East Peace Process (2000-03). As Director of Refugee Policy, 1976 -1978, he led design of the refugee provisions of the 1976 Immigration Act, including the Convention Refugee and Designated Classes, the private refugee sponsorship program and the WUSC refugee student program. In 1979 and 1980 he coordinated the Indochinese refugee program that brought 60,000 refugees to Canada. He was directly involved in the Czechoslovakian (1968) and Uganda Asian (1972) refugee movements, was Counsellor for Humanitarian Affairs at the Canadian Mission in Geneva 1981-84, and managed immigration and refugee operations in Jordan, Syria, East Africa and Ontario. He is President of the Canadian Immigration Historical Society. Dragana Mrdjenovic has worked for over 10 years in the immigrant-serving sector in language training and employment and recently as the Manager of the Settlement and Integration Program at the Ottawa Community Immigrant Services Organization. She is an avid advocate for personal and economic empowerment of immigrants through effective and timely interventions of community programming. As a relationship builder with innovative approach, she draws upon her professional and personal experiences as an immigrant and continuous learning from front line workers to improve how the sector engages and supports immigrants. Dragana has participated in numerous working groups, conferences, initiatives and encouraged creative dialogues in order to go beyond the status quo. Dragana has a BA in Linguistics and Graduate Certificate in Teaching English as a Second Language from Carleton University. Sylvie Ross’ involvement with community groups started at an early age. Most of her career was spent in the arts industry, media and publishing. She has sat on many national and provincial boards of directors, travelling throughout Canada and abroad. 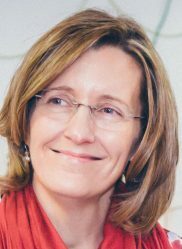 Sylvie has worked at Parents partenaires en éducation (PPE) since 2011, and became its executive director in 2013. She has the privilege and opportunity to work with parents from the 12 French school boards across Ontario. PPE has a long standing relationship with school councils, which provides direct access to a network of parents. As Vice President of Community Impact, Dennise Taylor-Gilhen is responsible for developing and implementing strategies that support effective planning, resource investment, and partner and community relations that respond to Ottawa’s most pressing and complex social issues. 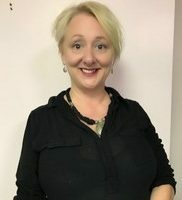 Dennise first joined United Way Ottawa’s Community Impact team in 2003 where for four years she worked closely with community partners on issues related to Mental Health and Addiction, Poverty, and Crisis, returning in 2015 to join United Way Ottawa’s senior management team. With many years of experience working in the social services and health charity sector, she believes that it is only when we hold important conversations with our diverse and inclusive community that we are able to work better together and achieve positive change. Dennise has a Master’s Degree in Education from the University of Ottawa, along with a Bachelor of Education, and a Bachelor of Arts from the University of Saskatchewan and in 2018, she became the first Canadian to graduate from United Way Worldwide’s Advance Leadership Program. 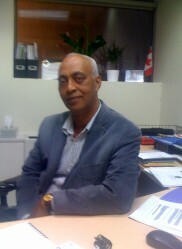 Member of the Employer council of champions in Ottawa. 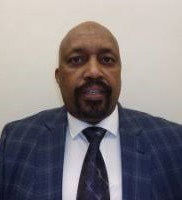 Mr. Tsegaye is co founder and Executive Director of World Skills, an organization that provides employment services to newcomers in Ottawa. Mark Zarecki, MSW, RSW, is a graduate from the McGill School of Social Work, as well as the Institutional Administration program at ConcordiaUniversity. His 22 year tenure with the Hillel Jewish Students Organization saw him actively involved in both the Ethiopian Jewry movement and the Student Struggle for Soviet Jewry, where he helped hundreds of refugees find sanctuary in Canadian Jewish communities as well as in Israel. 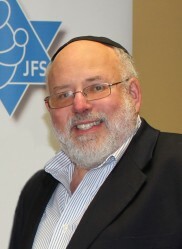 Presently the Executive Director of Jewish Family Services of Ottawa, Mr. Zarecki initiated the Ottawa Jewish community’s poverty relief initiatives, and a full service seniors social service department. As a partner in the Local Agencies Serving Immigrants coalition, Mr. Zarecki helped to create, develop and supervise the World Skills Employment Project for New Canadians, which is now an autonomous organization with its own budget. When it became a stand-alone agency Mr. Zarecki became Vice President. As well, Mr Zarecki was awarded the 2003 Queen’s Jubilee medal for his contribution to social service in Canada. Mr. Zarecki has also gained recognition for his mentorship of the Somali/Muslim community of Ottawa, which recently won the highly prestigious 2003 Award of Excellence from the Canadian Race Relations Foundation for innovation and success in combating racism in Canada. He is currently involved in developing agency-to-agency relations with the Shia Muslim community. Mr. Zarecki is fluent in English, French and Yiddish.